When American researcher Rachel Fare leaves her lover behind for a stint in foreign archives, she stumbles upon a box of puzzling documents from a sixteenth-century castle and its inhabitants. Soon Rachel is paying more attention to the castle dwellers’ embattled existence than to her own increasingly complicated life. But for Louise, the lady of the castle, and Huguette, her independent-minded servant, there’s no escape from the strife and privations of their war-torn world. 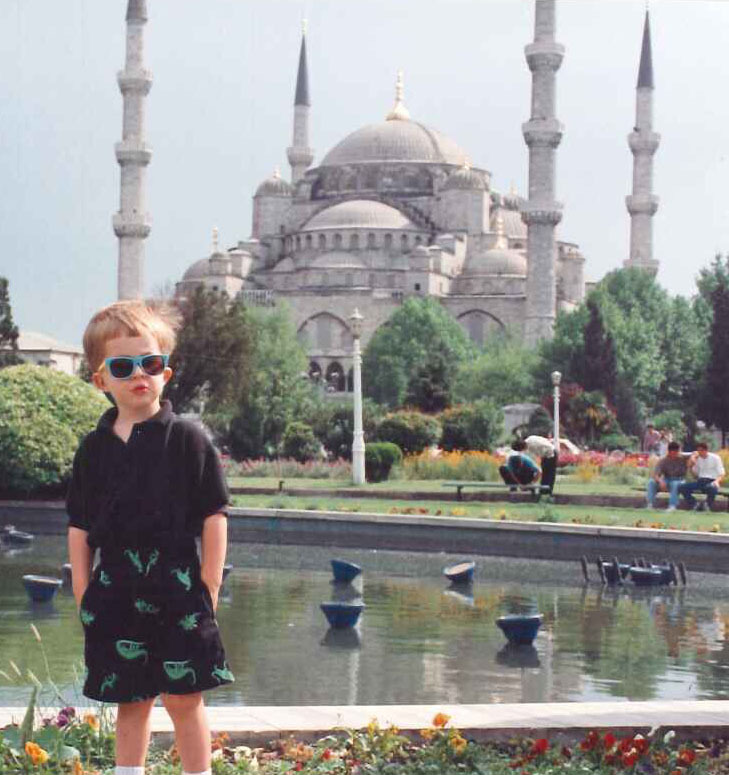 The author's son in front of the mosque in Edirne designed by Sinan, Suleiman the Magnificent's architect. A quirk of timing finds historian Kristen Neuschel on an extended trip within Turkey with her husband, three-year-old son and newborn daughter, a mere nineteen days after giving birth. What begins as an inconvenient, alternately hilarious and painful journey for a nursing mother grows into an exploration of Turkey’s present and its many pasts from a unique point of view.